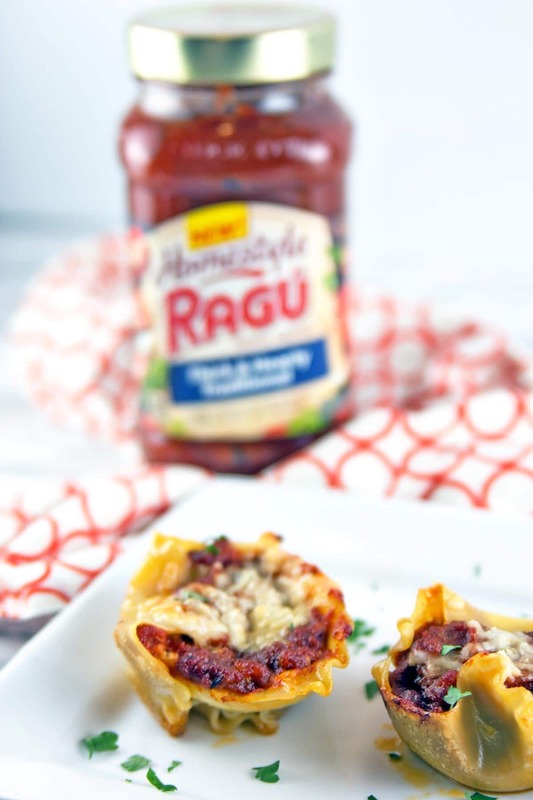 Individual sausage lasagna cups, filled with ricotta cheese, melted mozzarella, hot Italian sausage, and thick, hearty tomato sauce. Who can resist this perfectly portioned pasta? While this is a sponsored post, all opinions are mine. Thank you for supporting the brands that support me and allow me to continue to grow my blog. The idea of homestyle cooking often conjures up an image of a traditional “Sunday Supper”. A big family gathered around the table, people laughing and talking over each other, passing big dishes around to everyone. I always thought this was just some Hollywood-created fantasy, but it turns out that for a lot of people, this actually happens. Suffice to say, this was not my childhood. As an only child with an only child for a mother, our family is tiny. Tiny, as in I have one aunt and zero first cousins. Since I grew up in a different state from my grandparents, non-holiday big family dinners were nonexistent. When I think about homestyle cooking, I think about the friends I made in college — the friends who are now family. While we were in college and dealing with college dorm kitchens, pasta was often the center of our group dinners. It was easy to pick up a box of pasta, a jar of sauce, a bag of cheese. Depending on the pasta shape and type of cheese, you have baked ziti, stuffed shells, spaghetti, or lasagna. Perfect college food! We’ve all grown up a little in the 10+ (yikes!) years since we graduated college, but I’m thrilled that we haven’t drifted apart. We’re now more diverse in the kitchen, but one thing that hasn’t changed: the need for quick, easy, weeknight dinners. Instead of eating between class and music rehearsals or intramural sports, it’s rushing home from work and trying to get dinner on the table before our little ones head off to bed. 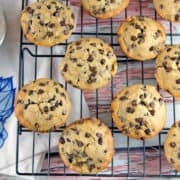 Even as a food blogger who loves making as many things as possible from scratch, sometimes little shortcuts are the difference between having 30 minutes of playtime before bed or not. Kitchen Confession: I almost always use jarred tomato sauce. I know, I know — the Italians in the room are gasping — but hear me out. When you think homemade tomato sauce, you think of a large pot of fresh tomatoes, slow simmered for hours on the stovetop… right? Maybe you’re a lucky ones who does, but I sure don’t have time for this on a busy weeknight! Since I don’t have time to make my own sauce (or the freezer space to make a huge batch and store it), I let the fine folks at Ragu help me get dinner on the table faster with their line of new Thick and Hearty Homestyle Tomato Sauce. Instead of simmering sauce on the stove for 4 hours, you get something almost as delicious by opening a jar. That’s a pretty good deal for a busy working family, if you ask me. Plus, now that our group of college friends have started having children (and three more babies on the way this month! ), we are extra aware of artificial preservatives and unnecessary dyes added to food. 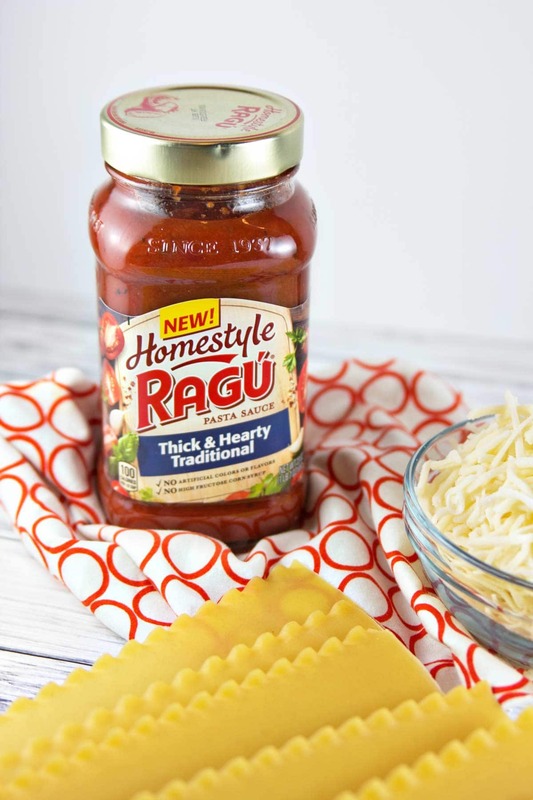 Ragu’s Homestyle Pasta Sauce contains no preservatives, no high fructose corn syrup, and has a list of ingredients you can actually identify. 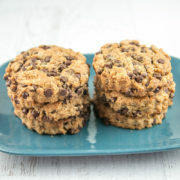 There are five different flavors to choose from — something to satisfy even the pickiest of little eaters. But just because you’re using jarred sauce doesn’t mean you can’t make something a little more impressive than a foil sheet pan of baked ziti. 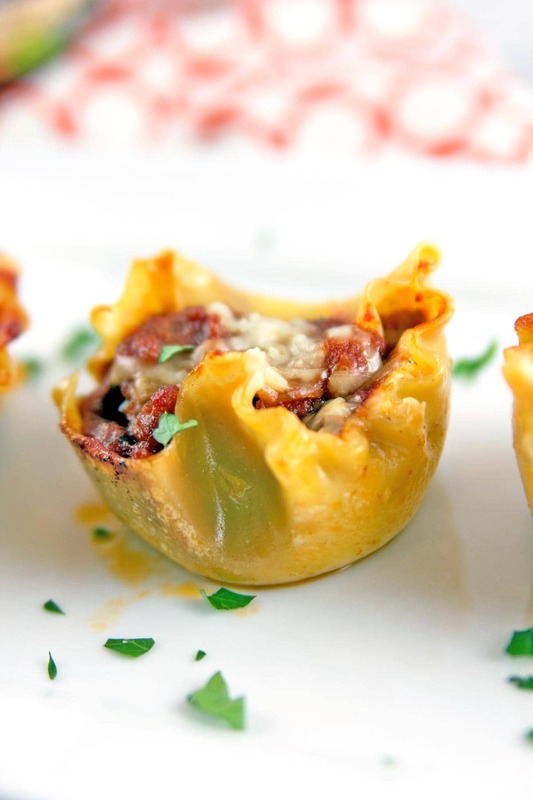 How about these little sausage lasagna cups? Time wise, these require just a few more minutes compared to a normal lasagna. 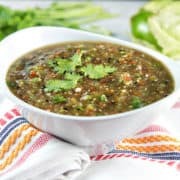 But since they’re individual little cups, they’re portable for a potluck dinner with friends, perfectly portioned, and a hit with kids (both big and little!) alike. Made too many? No problem! Pop them in the freezer to enjoy later. Nothing saves time like cooking a big batch of something and tucking half away for a busy day. Preheat the oven to 350°F. Grease the wells of two 12-cup muffin pans well using nonstick spray. Boil the lasagna to al dente, as directed on the package. Lay noodles flat in a single layer to cool. Once cool, cut each noodle in half. While the lasagna is boiling, remove the sausage from the casing and cook in a saute pan over medium heat until no longer pink. Drain excess fat, add the tomato sauce to the pan, and stir to combine. In a medium mixing bowl, beat together the ricotta and eggs until well combined. Add in the shredded mozzarella and Italian herbs. Season to taste with salt and pepper. 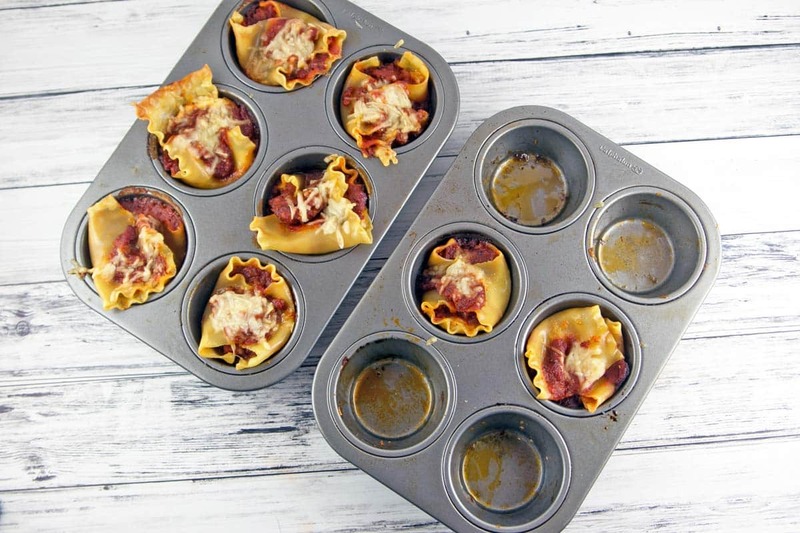 Place half of each lasagna noodle in the bottom of a well of the muffin tins. Using your fingers, shape the noodle around the well, pressing down to fill the bottom. 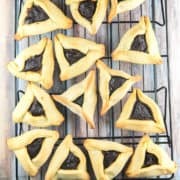 Fill each well with a tablespoon of ricotta filling, a tablespoon of tomato sauce, and a sprinkle of additional cheese. To prevent the exposed noodles from drying, spray the tops of each lasagna muffin with cooking oil. Bake for 20-25 minutes, until golden brown and the cheese has melted. 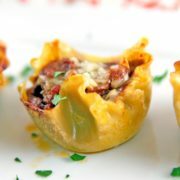 Remove from the oven, allow to cool for 10 minutes, then pop out each sausage lasagna cup from the pan and serve warm. 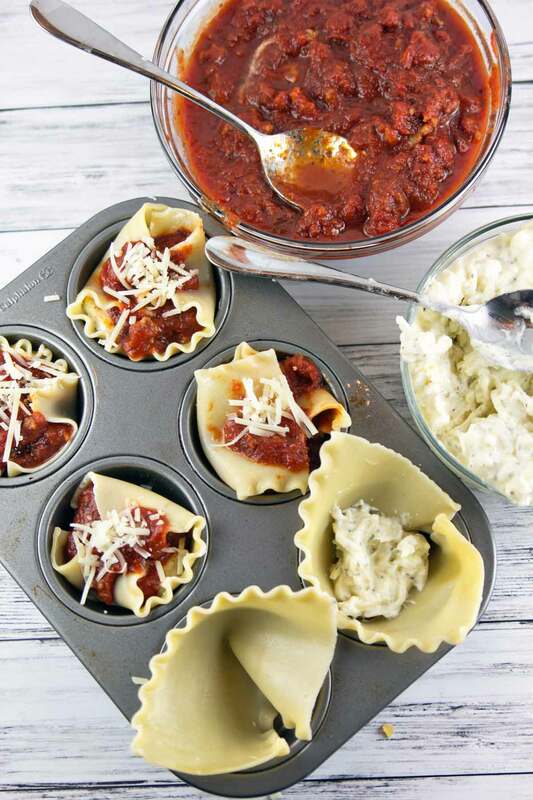 To freeze, allow the baked lasagna cups to fully cool. 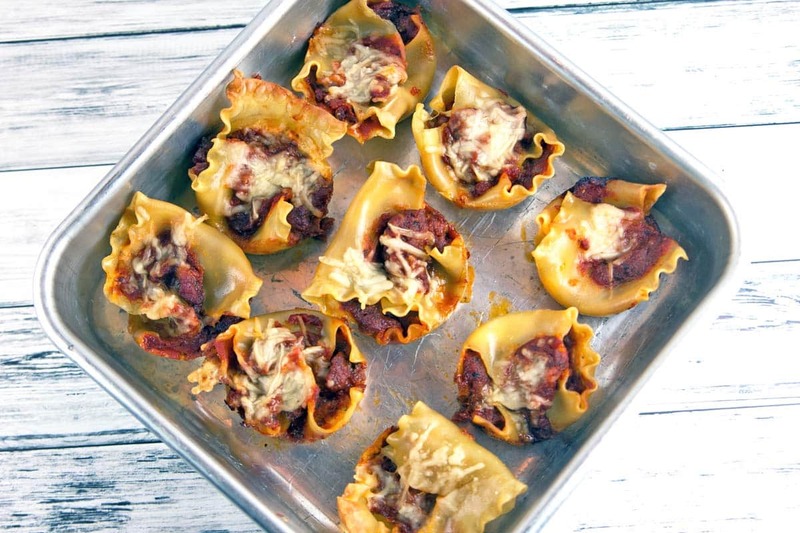 Place the lasagna cups in a 9×9 or 9×13-inch baking dish, spaced far enough apart to not touch. Cover the disk with a layer of plastic wrap followed by aluminum foil and freeze for up to 3 months. To reheat, place directly from the freezer into a 350°F oven and bake for 20 minutes, until heated through. How adorable are these cups?! My girls love mini things like this and I can see them really having fun making these. Thanks, Erlene! Even as an adult, I love making mini things, haha. I can’t wait until my little guy is old enough to start helping me in the kitchen! Mini?! Yes. All about it. All the taste, usually without all the mess! Yes to an appetizer! I’ve been mentally planning an Italian-themed tapas party – mini-Italian everything for everyone! 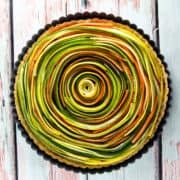 These look so, SO good! Thanks for sharing. 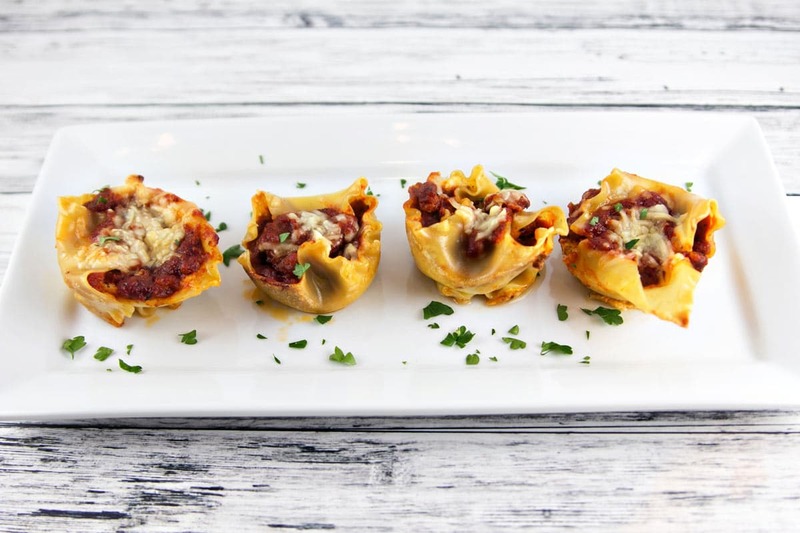 I haven’t never tried lasagna cups before, I bet my kids would love them. I love all of the quick & easy recipes on the RAGU site, too! 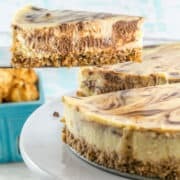 I love this, what a fun way to eat lasagna and a great snack for game night. Yes! So perfect for game nights (be it playing games yourself or watching sports on TV!). Oh wow, what an awesome idea! Lasagna has never looked so cute. 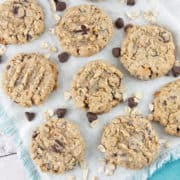 😀 How good would these be for a quick work lunch or snack?! I love packing two for lunch – SO much neater and easier to eat at my desk than a cut square of lasagna! These look like so much fun, perfect little nibbles for any time. Love these!!! Portable lasagna is my idea of heaven! 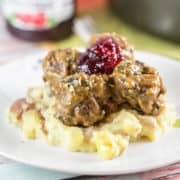 Love that you’ve put sausage in them too; yum!